Whether for home or work, there's a choice of colors to suit and sitting at your desk was never so comfortable. 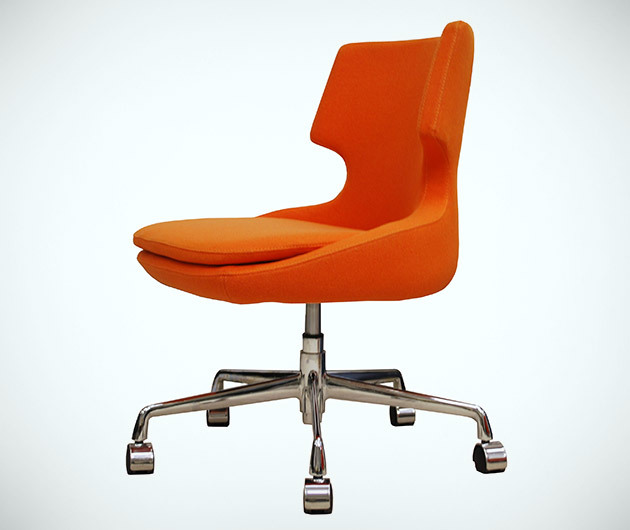 The Patara Office Chair by SohoConcept Studio sports an innovative connection design that links back and seat for unparalleled, ergonomic support. The uniquely-shaped, nature-inspired seat moulds to the shape of your spine while the upholstered construction further adds to the comfort.